My own life continued pleasantly enough. The only irritant was my Hebrew class, which I really didn’t like. It involved reading, translating and memorizing, religious texts, mostly “Genesis” (“Berechis,” in Hebrew, after the first word of the “Torah” (the “Pentateuch” in the Christian world), “In the beginning . . .), and I was really terrible at it, particularly as someone seemed to have shifted all the vowels again, and done some other things to sibilants to make things more difficult for me. I just wasn’t very good at it, no excuses. However, I did enjoy the walks by myself to the Hebrew school some distance away. I loved looking at the store windows, the canal and its locks, the street name plates at each corner. Reading street names, historical markers, and monuments was simply something I enjoyed doing as I walked to Hebrew school, and something I continue to do today (although not on the way to Hebrew school), sometimes going so far as to memorize them. I don’t know whether it was supposed to be part of my Jewish education, but each summer I was sent to one of several camps run by Jewish organizations. 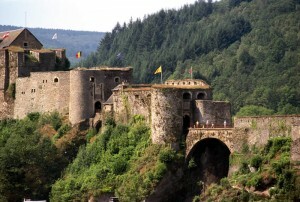 One year it was a place called “Auberge de la Jeunesse,” a converted hotel on a little hill facing the medieval castle of Godfrey of Bouillon, on the opposite hill. Godfrey had participated in the First Crusade, in the XI Century, and was anointed first king of the Kingdom of Jerusalem. We visited the castle, looked at what we were told were the still bloodstained walls of the dungeon, swam in the river Semois at the base of the castle, and I learned to play a form of jacks using only pebbles. Another summer was spent inside a French castle in the area in which the Battle of the Bulge had raged just a couple of years before, where I found out that the activities scheduled for kids bored the hell out of me, and all I wanted was to be left alone with my books. So, I was allowed to help in the kitchen working with the adults, which I did enjoy. I also went out on a boar hunting expedition with the adults which was a lot of fun, until I stumbled into a boar pit. Fortunately, there were no stakes in the pit, otherwise this would not be getting written. And when not working or stumbling into boar pits, I read. 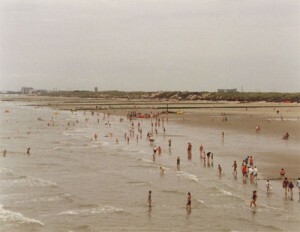 There was also the summer I was sent to Blankenberge, a seaside resort on the North Sea coast of Belgium. When I first got there, I had a wonderful time fishing for tiny, local shrimp, which I placed for safekeeping in nice, fresh water in a container under my bed, where, of course, they promptly died, creating an unbelievable stench which almost got me expelled from the room I shared with several others. I still remember a glorious sand castle a group of us created, only to have it swamped by the incoming tide. 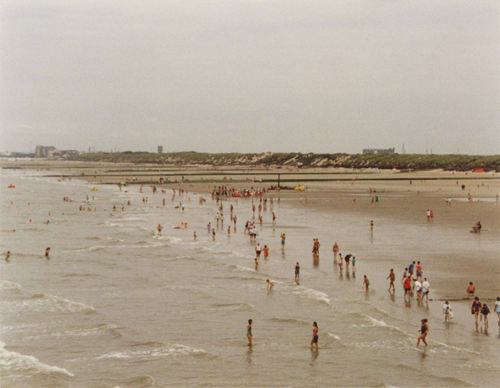 It was while at Blankenberge that I received word that my mother wanted me home, and when I got home my mother told me to get myself ready; we were going to America!